Chloe Thurston joined the political science department in 2014. Her research and teaching interests are in American political development, with a focus on social policy, organized interests and social movements, and historical analysis. She is currently working on a book manuscript that examines the expansion of access to mortgage credit over the twentieth century to groups whose access was previously constrained. 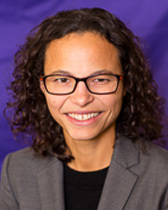 Prior to coming to Northwestern she was a postdoctoral fellow at Johns Hopkins University. 2014. “From Metaphors to Measures: Observable Indicators of Gradual Change.” Journal of Public Policy 34(1):35-62. Joint with Phil Rocco.